For the past few months, we have talked a lot about ocean planning on the East Coast especially with two regional ocean plans released in the Northeast and Mid-Atlantic. Now, we are excited to share news from the West Coast! Last month, the West Coast Regional Planning Body (WCRPB), comprised of federal, state and tribal representatives from California, Washington and Oregon as well as the Pacific Fishery Management Council held its first official meeting since signing its charter. On October 26 and 27, I attended the meeting in Portland, Oregon, where dozens of individuals from local, state and federal government, ocean user groups, non-profit organizations, tribes and more came together to start the conversation around a regional, collaborative approach to ocean management. The National Ocean Council Director Deerin Babb-Brott opened the meeting with encouraging words for the West Coast, underscoring support from the White House and sharing some of the lessons learned from the Northeast and Mid-Atlantic ocean planning process. He highlighted the value of a ground-up approach, stressing the importance of stakeholder engagement throughout the entire planning process and the need to think collaboratively as a region. Ensuring proper engagement with a diversity of ocean users groups and the public is critical to a successful planning process. Babb-Brott further urged the WCRPB to embrace the knowledge of the tribes in the region—twelve of which have representatives that sit on the WCRPB. Ocean planning on the West Coast will build upon state-level planning that is already underway in both Washington and Oregon. 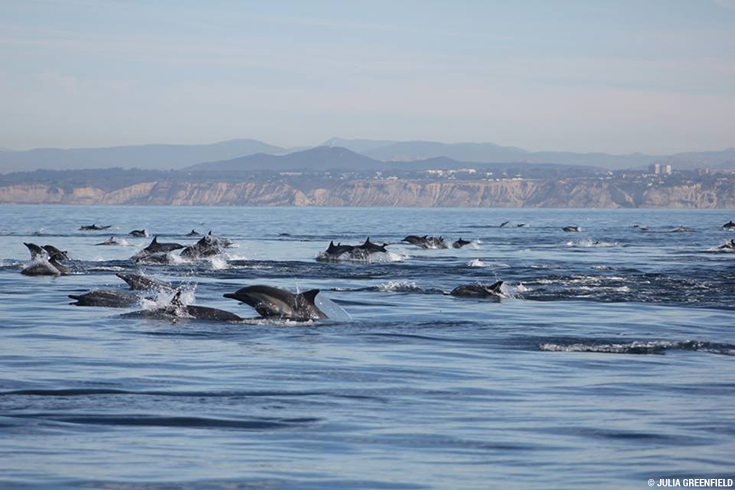 The WCRPB will take a sub-regional approach to ocean planning, in an effort to accommodate the large and diverse marine ecosystem from Southern California to the Canadian border. This sub-regional approach highlights a unique factor about regional ocean planning across the country: Each region that decides to create a plan for their ocean can design the plan in a way that meets their region’s current and future needs, while ensuring the plan fits in with existing management structures. I applaud the RPB’s collaboration to date and look forward to engaging as they move forward in the process! Information on the West Coast Regional Planning Body can be found here. Slides from the October 2016 meeting are available here. Smart ocean planning helps coastal communities to develop strong, sustainable local economies that can live alongside healthy ocean ecosystems and wildlife. Our ocean faces many threats like the onslaught of ocean trash, overfishing and ocean acidification. With the help of donors like you, Ocean Conservancy is developing innovative solutions to save our ocean.